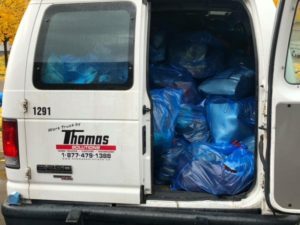 We are proud to share that this month Thomas Solutions was able to get in the Christmas spirit early and donated a cargo van to our friends at The Purse Project for a wonderful cause. 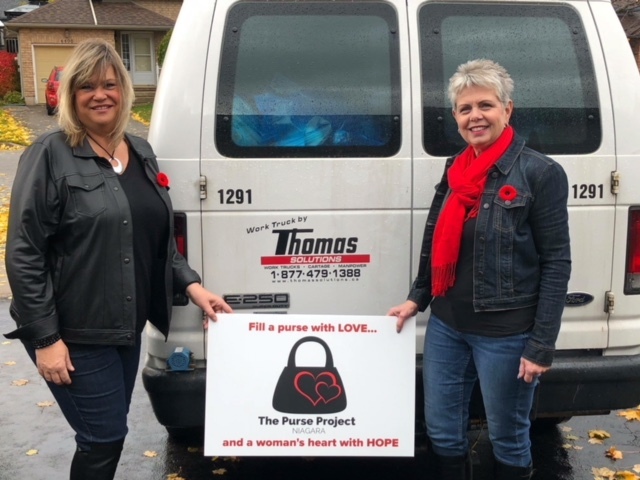 The Purse Project is a campaign based in the Niagara Region dedicated to providing every women in shelters and second stage housing with new or gently used purses filled with love and items of need. 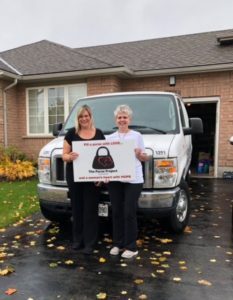 In 2016, Sarah Boville and Mandi Neiser were so inspired by the “Fill a Purse for a Sister” campaign based in Toronto, that they decided to join forces and work together to start a similar campaign in the Niagara area and the surrounding communities. This season, the ladies kicked off their Christmas campaign between October 1 – 31. The concept is simple. Donators are asked fill new and gently used purses with items that a woman would need; sample and full-sized items and goodies like chocolate and snacks. Anyone who wanted to donate a purse were able to find multiple drop off locations scattered around neighbouring communities in Niagara. Congratulations to the everyone involved in the Purse Project and members of our community who volunteered their time and hard work! If you are interested in getting in touch with the Purse Project, here is how you can find them!